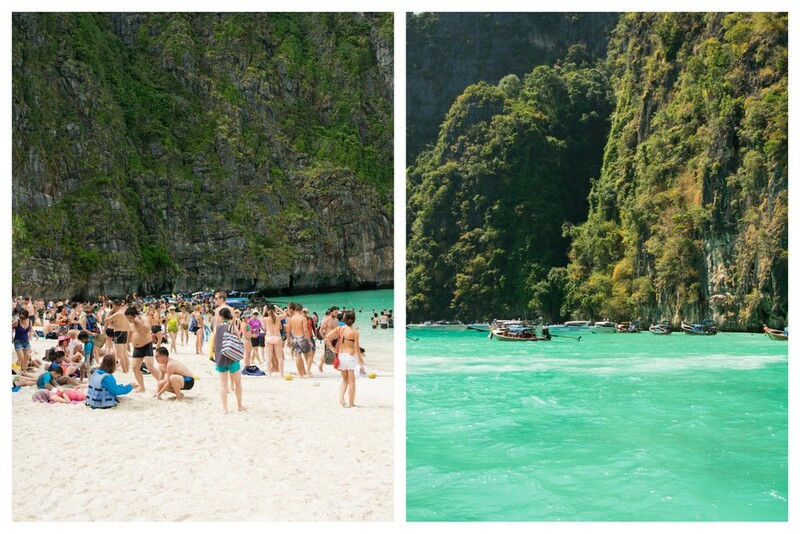 Maya Bay is the very epitome of paradise. 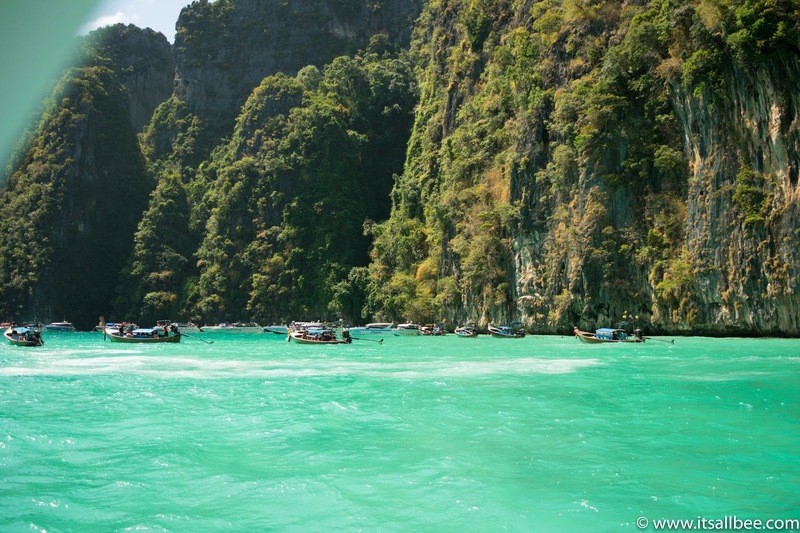 Maya Bay is a little enclave of pristinely soft melt-in-your-toes white powdery sand on the Ko Phi Phi Lay Island. It is, of course, the island made famous by the blockbuster film ‘The Beach’, featuring Leonardo DiCarprio. Visiting Thailand, or more specifically when visiting Phuket, island hopping tours are a must! There are many tour operators and depending on where you stay on the island you will either have to pay an additional fee if you are far away from the main collection points or starting points of the tours i.e the boat piers. 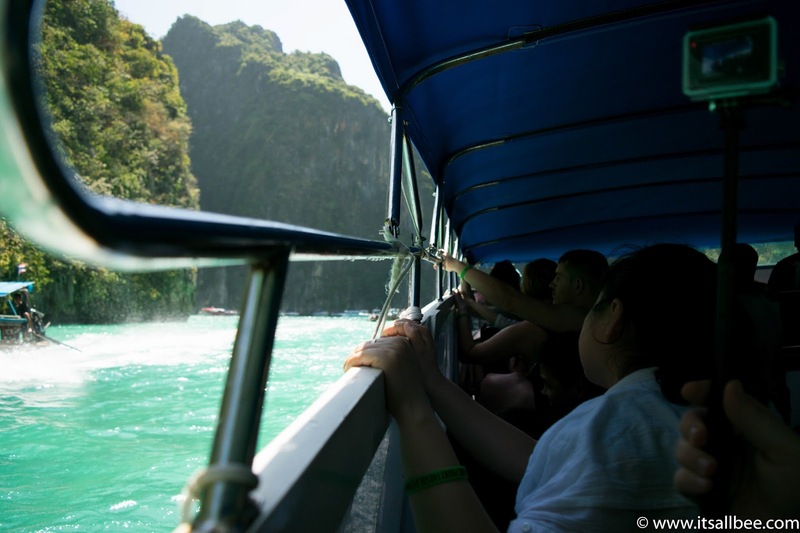 Two really popular tours in Phuket are the tours to James Bond Island as Phang Nga Bay and Ko Phi Phi Island for the Maya Bay tour – The Beach. You can find details of the other tour on my Thailand posts. 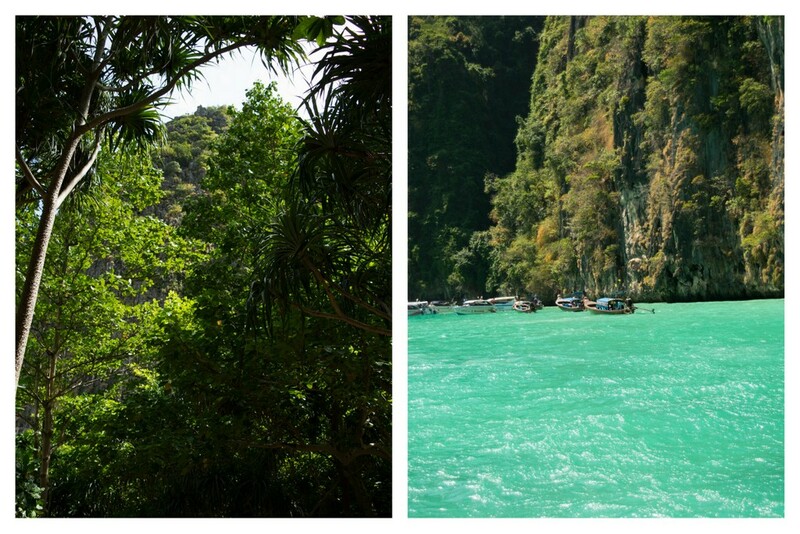 For now, these are shots from my May Bay tour on Ko Phi Phi Island. 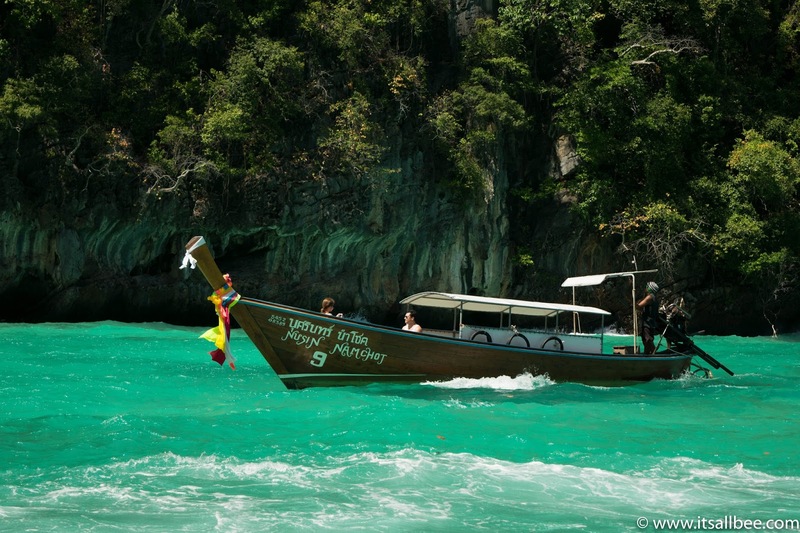 Ko Phi Phi Islands are about 40-50km of the coast of Thailand’s Phuket in the Andaman Sea. 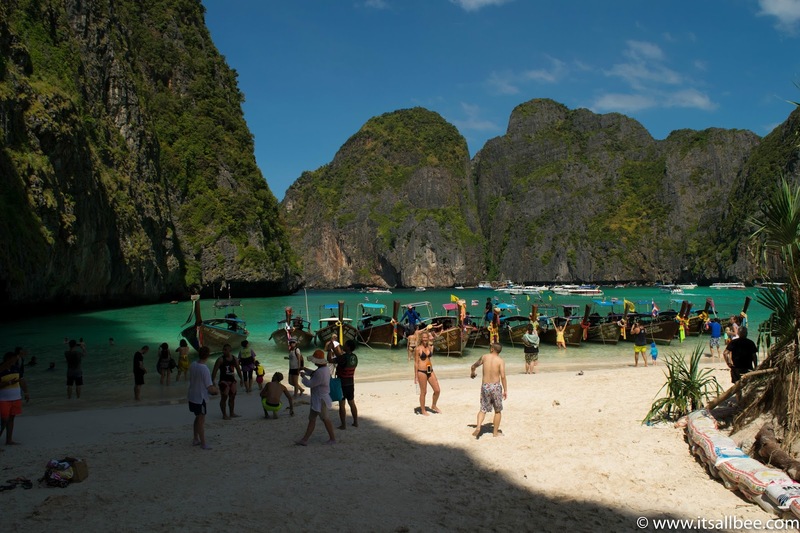 Below I am also sharing tips for when you visit Maya Bay. 1. Wear your swimsuit under your clothes because other than the pier to get on the boat, you won’t have an opportunity to change into them before your first swimming stop. 2. Bring a few snacks and some water. Although a lot of these tours include food and drink. You will most likely leave your hotel on an empty stomach or will have just about enough time to scoff down a bun and some coffee. Depends if you are the first person to be collected, though. The collection can take about an hour especially if you are the first one. Also, you will have one long stop for lunch and may come across a few stalls to buy some items on some island stops but I would recommend you pack a few snacks for in between stops. 3. Get some waterproof sacks. You will stop several times to swim and explore the islands so to keep your phones, camera, and gadgets you can invest in the waterproof sacks. The tour boats will have one where you can all put your items but I also like having all my gadgets with me so I didn’t use the communal sack. 4. Snorkeling gear is not included in the tour prices so you will most likely need to bring some additional cash to rent these items. 5. Make sure your tour provides life jackets and also make sure you use them. Plenty of people acted like they were born with natural floating devices. Think Safety first. It’s a tropical island and weather can switch as well as a number of other things can happen so just put one own. 6. Prepare to pay additional prices for transportation, if you are staying far away from where the tour starts off. 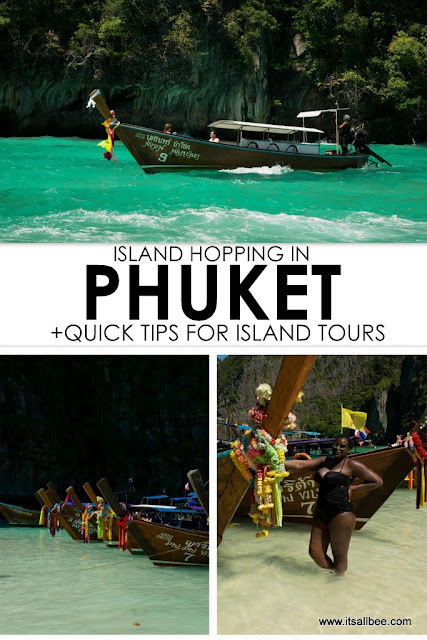 I did the Phi Phi Lay tour and Phang Nah Bay(James Bond Island) tour, for these I chose to stay on closer to where the tour was starting as well as give me an opportunity to explore that part of Phuket without having to travel half the day. For Phang Nga Bay, I stayed in the Northern part of Phuket and Phi Phi Island I stayed in the South or more central part. If you are far from your starting point then look to pay an additional 50-60% of the tour price for transport. 7. Also, consider a private boat tour. See further below in the post. 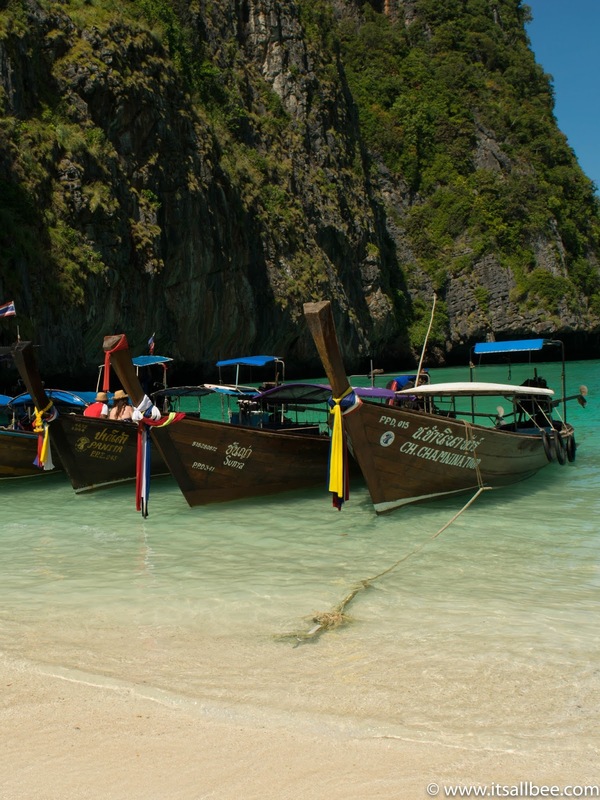 For available tours to Maya Bay, you can have a look at Phuket tours on Expedia. You can also check out tours on Viator as its usually same vendors and just compare prices. 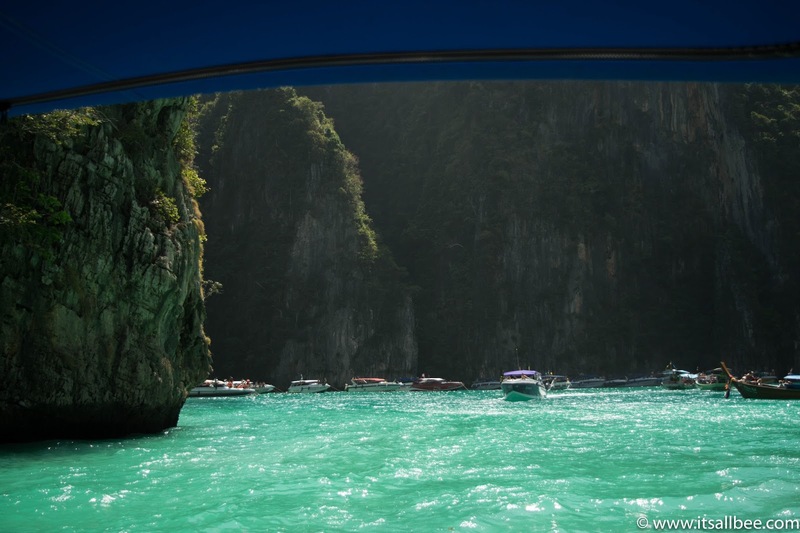 Clear turquoise waters and breathtaking beaches, stunning rock formations rising out of the beautiful waters of Phi Phi Island. The majority of tours will take you to a few stops that include, Maya Bay, Lo Samah Bay(see below), Viking Cave, Money Beach and another I can’t seem to recall the name of. I will post separate pictures from the other stops. You also get time to go snorkeling at 2 or 3 stops depending on weather and time of the trip. Above in tip number 7, I mentioned how you should consider having a private boat. A lot of the boats have about 20-30 people on them and that’s one too many for me. It’s not so bad if you have a good crowd. 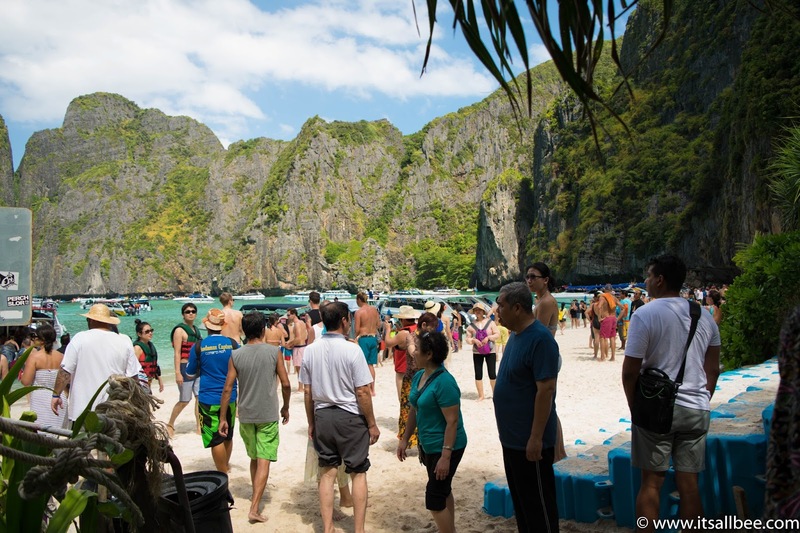 It’s not just the crowd on the boat that you need to consider on the tours it’s the hordes of people when you get to Maya Bay! There are boats coming every few minutes offloading people on this little small beach. Each of them all busy with their selfies sticks attempting to get that ‘money shot’. 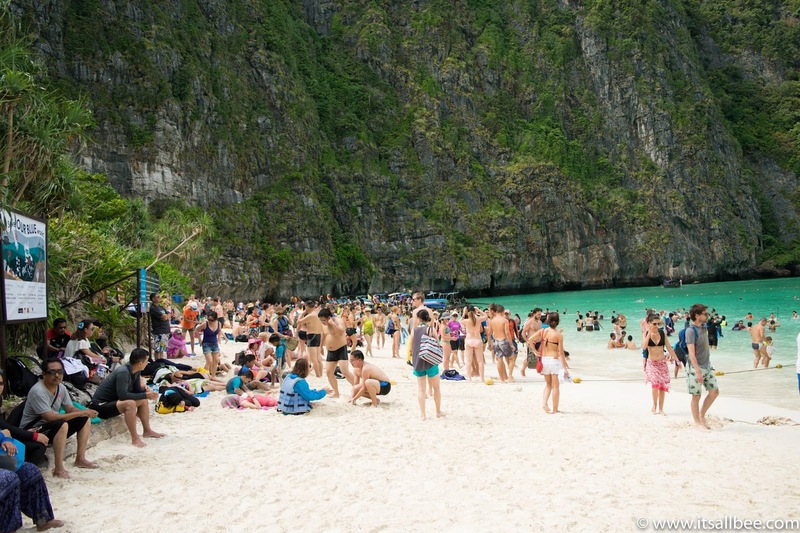 When you see a lot of pictures of Maya Bay you don’t see much of the crowds that you will no doubt find there. 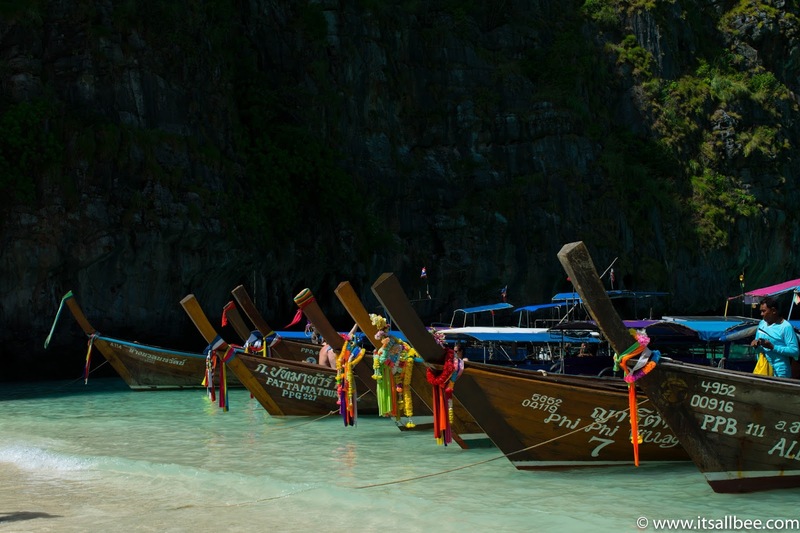 Having a tour with your own boat means you can explore Maya Bay when the big tours have left. Most of them stop off at a certain time. When you hire a boat you can find out from the locals or the boat captain what times are the quietest in Maya Bay and head there then. This means that you will have this little bit of paradise all to yourselves or with a few other people than the massive crowds when the tour boats all arrive at once. The prices are comparable to would you would pay for the tours. So well worth it if there is at least 3-4 of you so you can split the cost. I have covered a couple of places that we stayed at in Phuket, from Gold Digger’s Resort(yes I booked because of the name), Ikon Hotel and Renaissance Hotel. You can read about this on my Thailand posts. 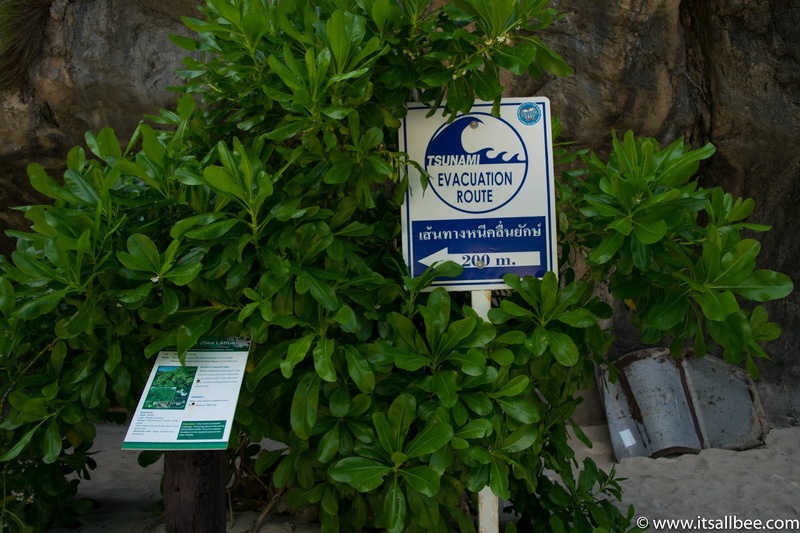 To visit Koh Phi Phi you don’t necessarily have to be staying on the island. 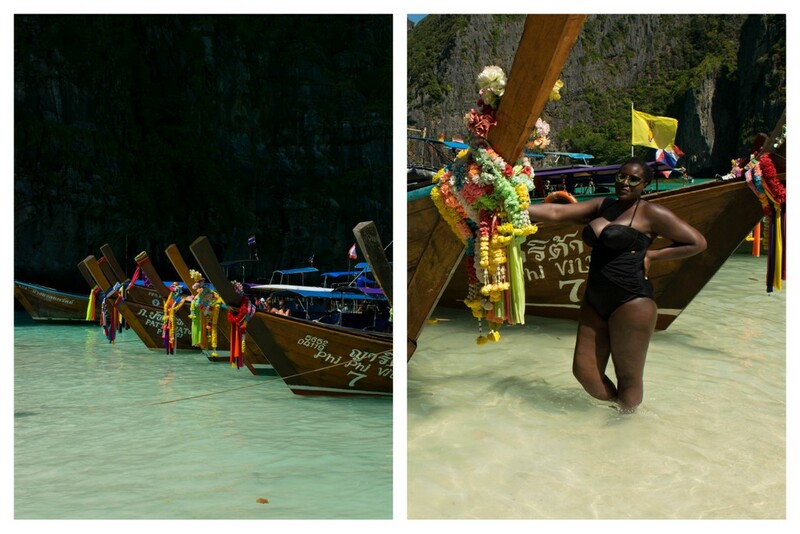 We staying on Phuket Island and did a day tour to Maya Bay. You can also opt to stay on Koh Phi Phi so that you maximise your exploration of the small island and perhaps avoid the crowds on Maya Bay. 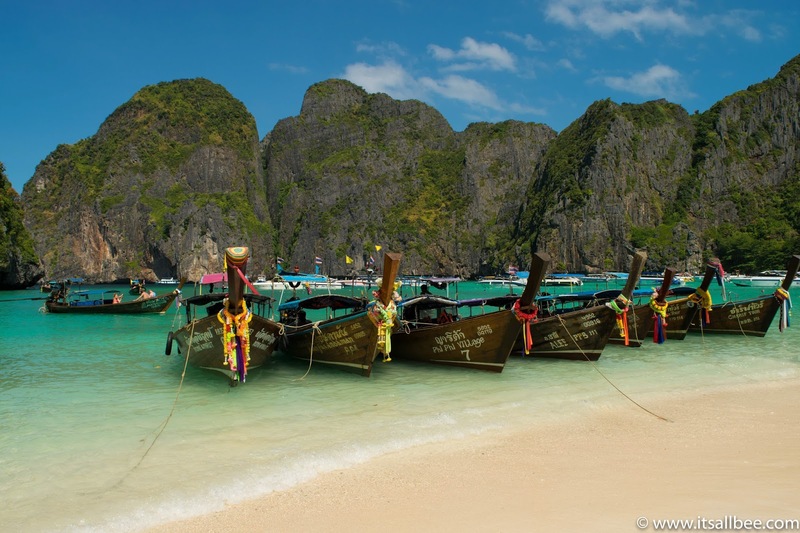 For hotels near Maya Bay check out the list of hotels on Koh Phi Phi. If you want to stay in Phuket, which is a lot bigger than Koh Phi Phi then check out this list of hotels in Phuket. Definitely a sign. Get that ticket booked! I am sure you will love Thailand. Thank you. Thailand is definitely the place to be. Its beautiful and not expensive at all. Don't let it stay on the list too long like I did. Unfortunately I was so spellbound by the overflowing Nubian thickness I couldn't take in anything else ?. 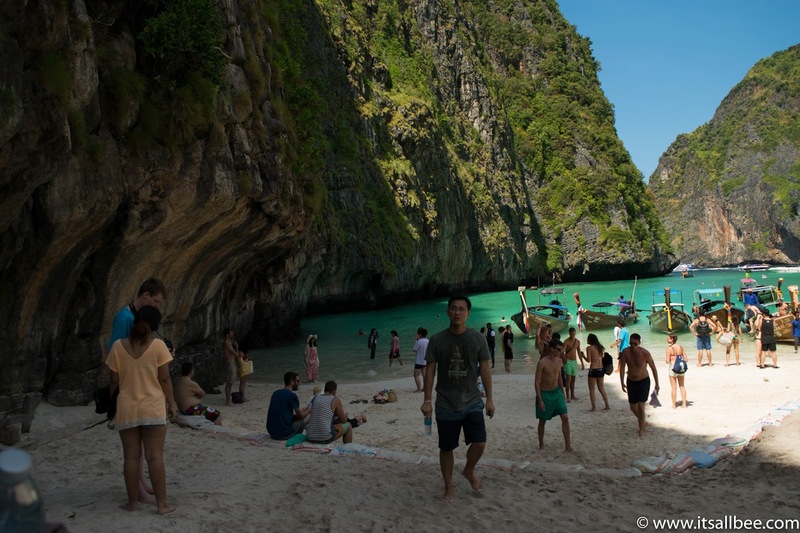 I have been wanting to visit Maya Bay in Thailand for a long time but heard this place had closed. So such shame people ruin places so others cant visit. Beautiful pictures either way.